The preservation and recovery of the Eastern Bluebird continues, in backyards, parks and golf courses throughout the northeast. “It’s hard not to love this little bird,” says Benoit. “If I could use one word to describe the bluebird, I’d say magical,” adds Meyer. 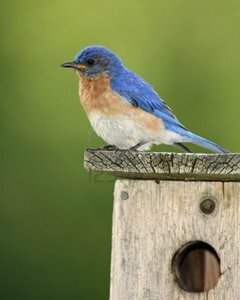 What’s more, the bluebird is the state bird of New York. That’s one more thing to sing about.